Rated Sail Area 566.4 sq ft. I purchased it from the original owner in February 2004. Since that time I have been restoring it to almost new condition. The hull has been professionally painted, (see Photo). A new very high quality racing bottom paint was professionally applied as well. The interior has been completely refurbished with new paint, and upholstery. Most of the standing rigging has been replaced, and all running rigging has been inspected. The KIWI has wings on the deck so beam is 14 ft with the wings down. 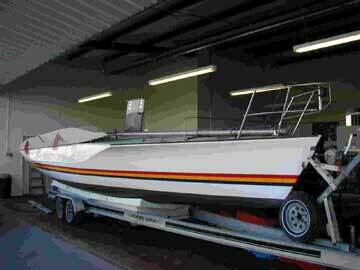 The boat is legally trailer able with the wings folded up. Sails; It has the following North 3DL racing set of sails in good condition. 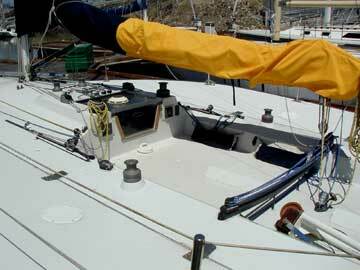 The complete deck was redone by Melges Boat works just a few years ago It was re-awl gripped and looks extremely well. The mast is deck stepped and can be raised and lowered, using the boom as a gin pole. The deck hardware has been continually upgraded by Melges Boats. 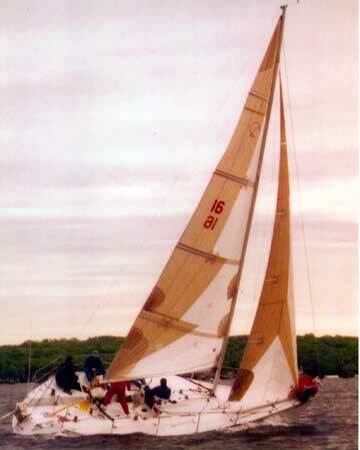 Buddy Melges designed the deck layout along with the previous owner to allow for an asymmetrical spinnaker option. Normal spinnaker pole , gear and spinnaker is also included. Plenty of winches, regular and self-tailing. KVH digital instruments. Depth sounder, Knotmeter/log, wind instruments. 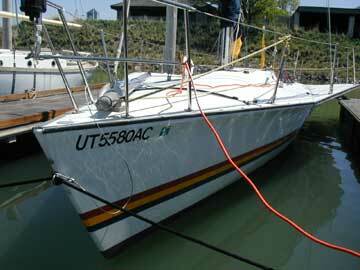 Conclusion: This is a fun fast boat which will provide a great day sail or a little silver if the owner so desires. 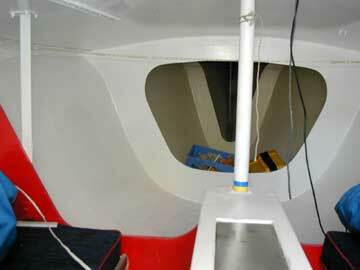 There are four berths and 4 ft headroom, minimum accommodations for an over-night race . Must be sold by Jan 15 or will be donated to charity.